Family Ties conservative offspring Michael J. 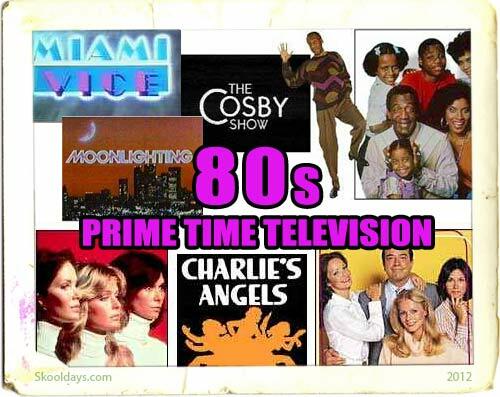 Fox reverses traditional family values, on prime time in the 80s while Bill Cosby takes them to new heights. Blair, Natalie, Jo and Tootie learn The Facts of Life. Gary Coleman leads a new generation of smirky kids, Kirk Cameron gets Growing Pains, Bruce and Cybil go Moonlighting, and the super suave, pastel-cool Miami Vice ushers in the long overdue era of the rock soundtrack. Meanwhile, a new network is born, and Fox’s Married. With Children and 21 Jump Street enter the spotlight. This entry was posted in PrimeTime and tagged 1980 by Skooldays. Bookmark the permalink.